Vincent Ball is the visionary force behind Nytec’s Product Innovation Center. Over the years, he has expanded Nytec globally, and formed a talented interdisciplinary team to deliver industry-leading innovative consumer lifestyle product design, engineering and manufacturing management solutions for some of the top Fortune 50 companies. 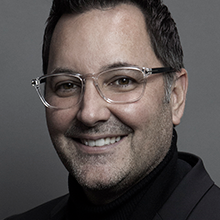 Ball leverages his innate ability to combine his deep business experience with over two decades of design, management, and leadership expertise to assure Nytec is able to help clients turn dreams into reality. Nytec has delivered some of the most innovative lifestyle technology products and services, enabling their global clients to establish first-of-a-kind industry experiences. Prior to joining Nytec, Ball led the design and development of hundreds of consumer hardware and software products while at Microsoft.